We had heard good things about Neo-Asia‘s dim sum – at least that it was better than Hong Kong Chinese Restaurant’s (see previous post) – so we absolutely had to drive out to Cary and give it a try. 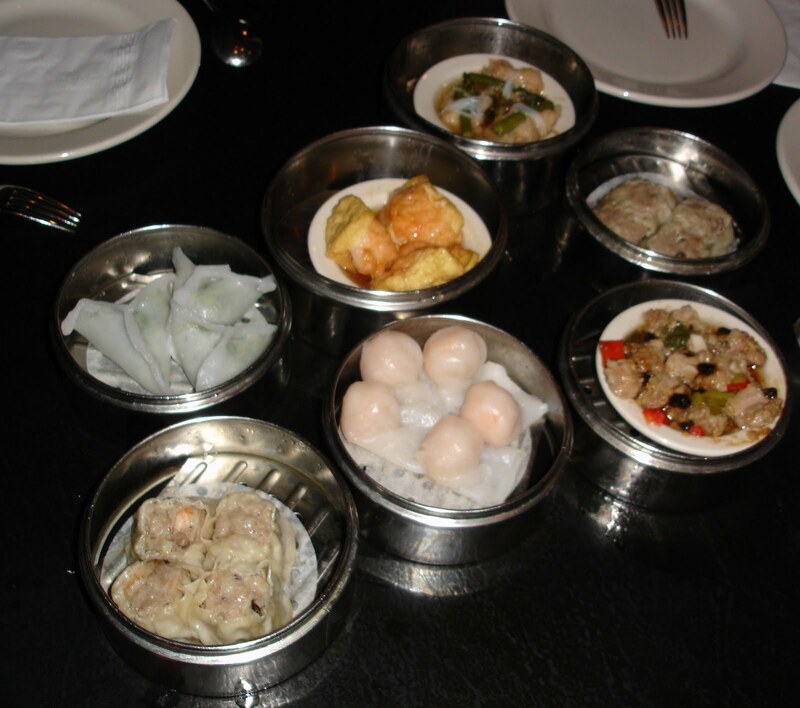 **Note: Neo-Asia/ Neo-China has a few different locations in the RTP, and only the Cary location serves dim sum on weekends! We ordered the typical yum cha stuff, a few of which are pictured below (sorry, I didn’t quite get a chance to take a photo of the food before my hungry meal companions poked their chopsticks into the food): siu mai, spare ribs, shrimp dumplings, shrimp with fried tofu, shrimp cheong fun, and the like. All of them were pretty decent, but not that much better than HK’s except for the siu mai. However, I did enjoy in particular the chives dumpling, which is not available at HK. What we thought was really special about the dim sum at Neo-Asia were the cold meat platters: sliced chicken with garlic sauce, sliced pork with garlic sauce, sliced spicy pork (some of which are also pictured). 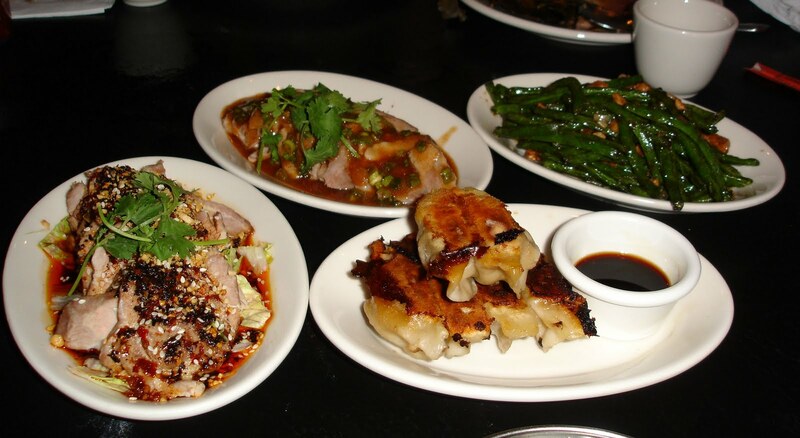 Those were really delicious – especially the spicy pork. The spicy sauce that was used really had a special taste that wasn’t too strong, and the meat in all the cold platters was very tender and fresh. We also ordered some potstickers, the obligatory veggies, and a sticky rice chicken. I didn’t try all of the dishes since I’m not particularly fond of sticky rice stuff, but I was told that the sticky rice was pretty good, since it had lots of fillings (chicken and Chinese sausage and ground pork and whatnot).